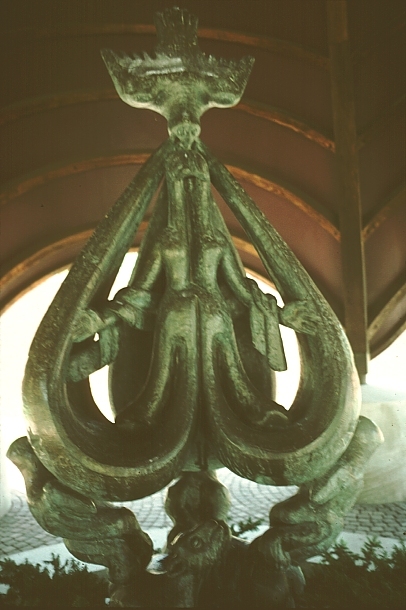 Images of Jacques Lipchitz's Notre Dame de Liese (Our Lady of Joy). 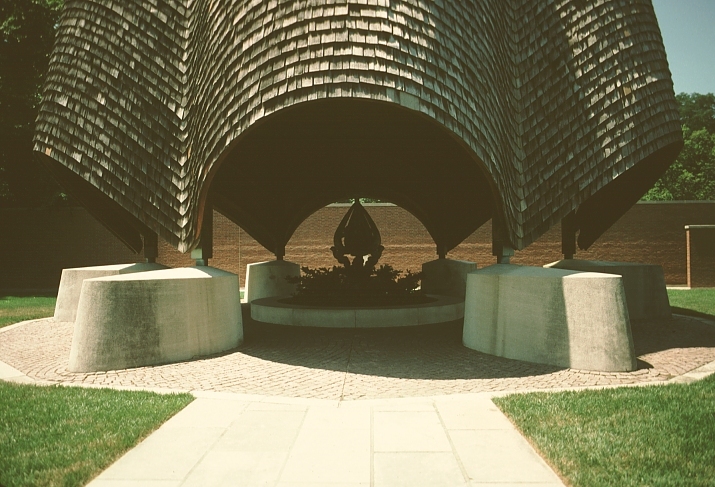 Located inside Philip Johnson's Roofless Church, this sculpture depicts the Madonna inside a tear-shaped canopy with a base of reclining lambs; a dove, the symbol of peace, descends to earth. 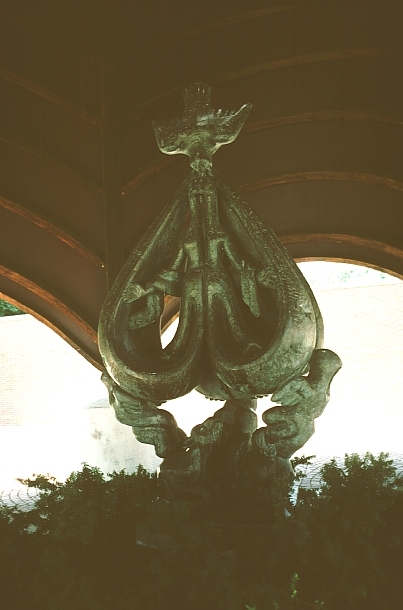 See also Lipchitz's later and larger version of this motif, Our Lady of Peace, in Los Angeles. See also Richard Meier's Atheneum, the Visitors' Center, in New Harmony.